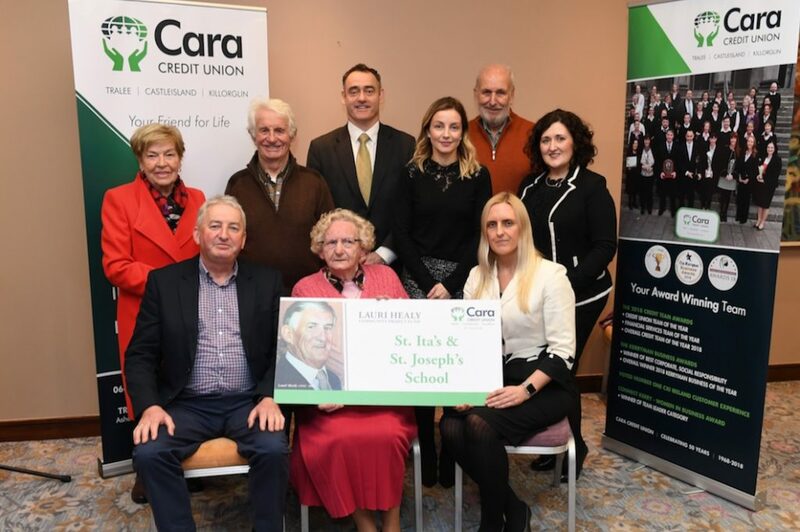 Cara Credit Union representatives with Mary O’Brien and Lauri Healy’s wife Marie, and representatives from St Ita’s and St Joseph’s School awarded a Lauri Healy Sponsorship Award. 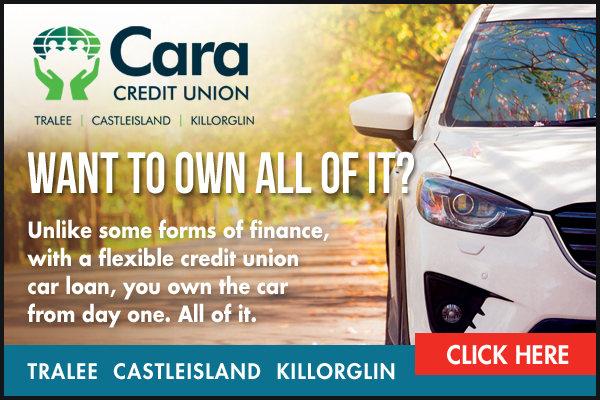 FIVE community groups received funds from Cara Credit Union’s Lauri Healy Community Sponsorship Awards last week. 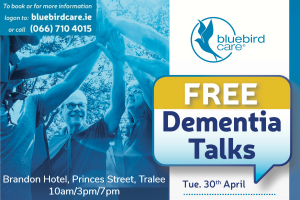 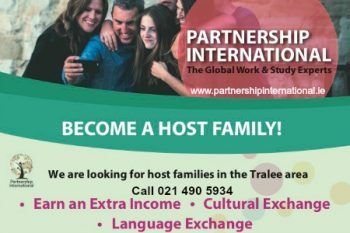 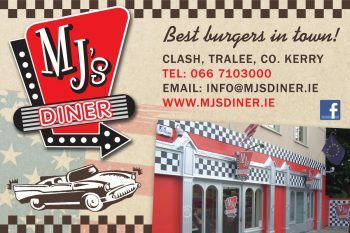 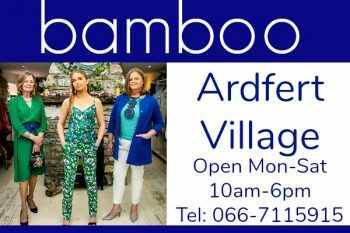 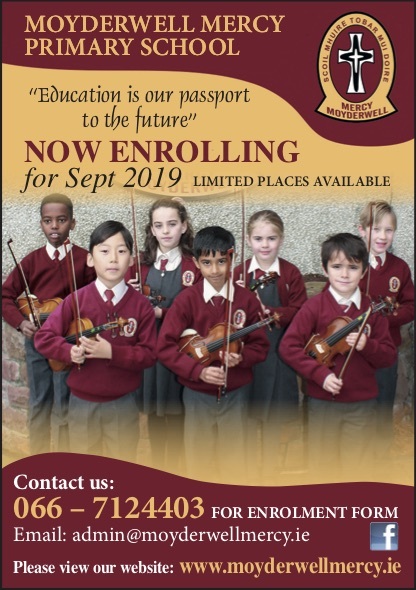 The recipients were Wild Mind Nature Festival, NEWKD and Tralee International Resource Centre, Farranfore Development Association, #GameOn for Autism and St. Ita’s and Joseph’s School. 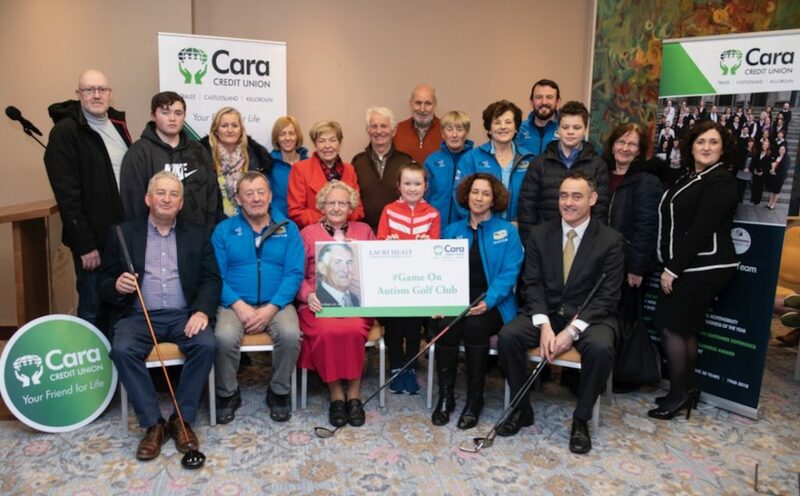 Cara Credit Union representatives with Mary O’Brien and Lauri Healy’s wife Marie, a group from the #GameOn Autism Golf Club awarded a Lauri Healy Sponsorship Award. 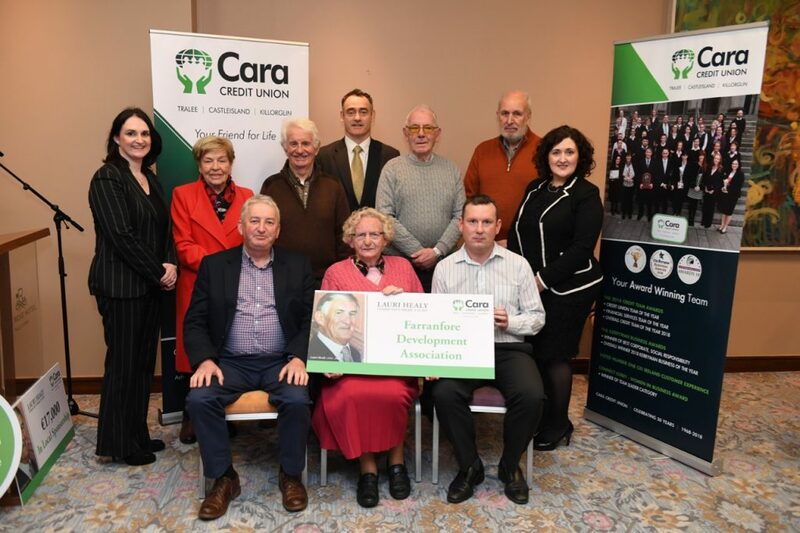 Cara Credit Union representatives with Mary O’Brien and Lauri Healy’s wife Marie, and the Farranfore Development Association members awarded a Lauri Healy Sponsorship Award. 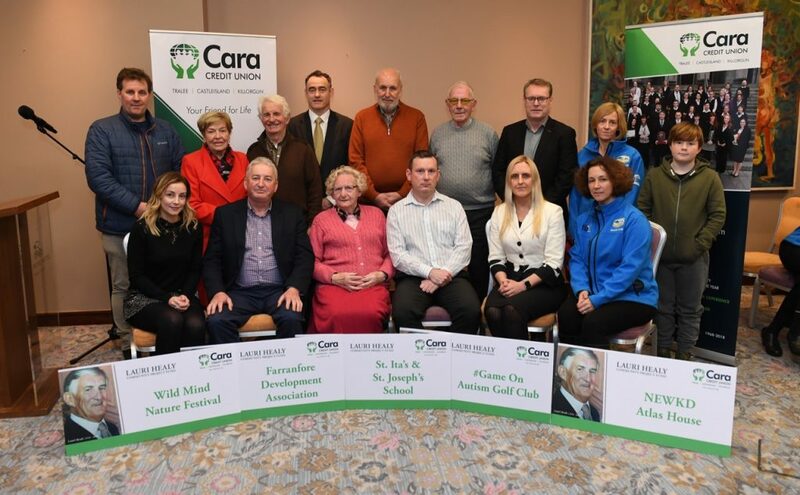 Cara Credit Union representatives with the five groups awarded Lauri Healy Sponsorship Awards. 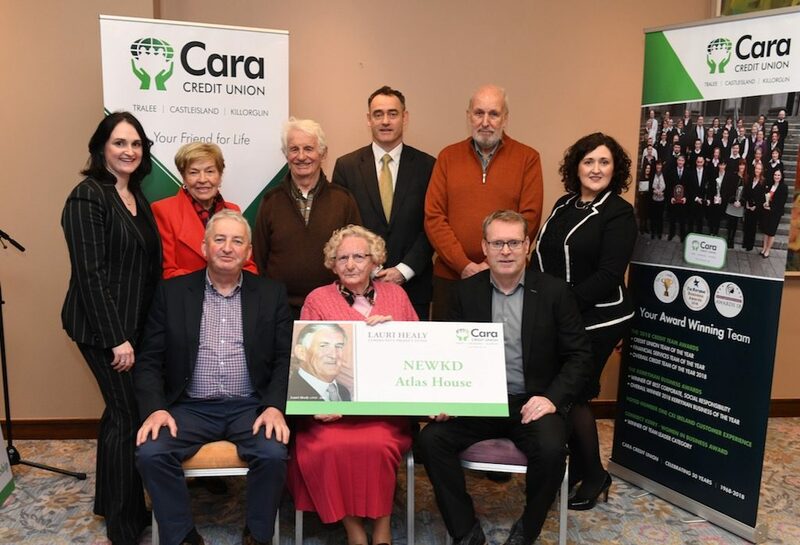 Cara Credit Union representatives with Mary O’Brien and Lauri Healy’s wife Marie, and a delegation from Atlas House awarded a Lauri Healy Sponsorship Award. 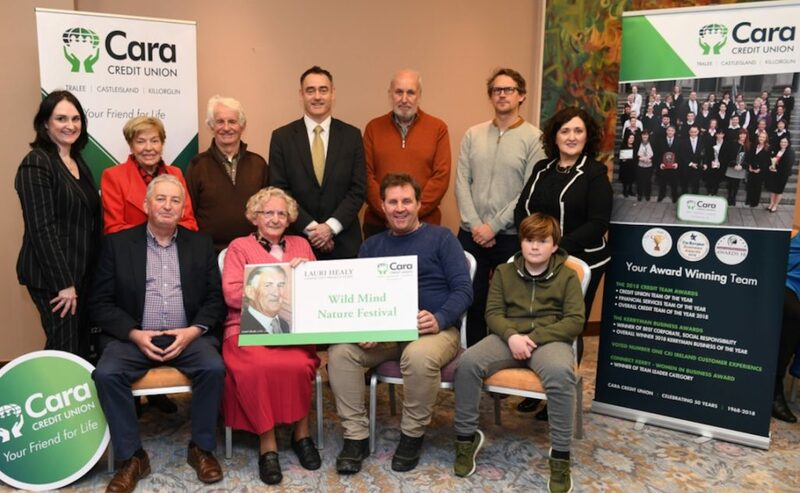 Cara Credit Union representatives with Mary O’Brien and Lauri Healy’s wife Marie, and representatives of the Wild Mind Festival awarded a Lauri Healy Sponsorship Award.